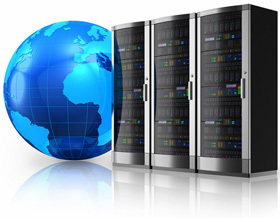 Web hosting is the most imperative aspect in the creation of a highly efficient website. It is a major step towards pulling off your business goals by promptly delivering value to your target market without being sluggish in terms of website performance. Like in most parts of the globe, thousands of brick and mortars in UK are now also vying into the power of digital marketing. Top requirement is a well-designed website. And what makes up a great website? An excellent web host. and entrusting your website to a reliable web hosting company is a sure-fire way to improve your overall online business regime. If your business is in UK and you are in the verge of looking for a hosting company to support your web needs, you are on the right page. It is advisable that you rather connect to a UK web hosting company because it is more efficient within your location. It’s also easier to target your audience, control your traffic, and a lot more other benefits to your site performance. Before you sign up and place your money on a web hosting company that seems to have a promising offer, it’s essential that you know first the different types of web hosting plans. Let’s take a quick glimpse. Shared hosting or shared services, as the title implies, is a type of web hosting that accommodates multiple websites in one server connected to the internet. It means your account will be in a particular server with thousands of other websites. It is suitable for personal, small and medium-sized business sites that do not usually have large scale traffic. It is also the most affordable among all web hosting plans. Technically, it is a managed concierge hosting service that covers all the aspects of running a WordPress account. It involves the security of the site, daily backups, uptime, WordPress updates, speed, and scalability. It is also an excellent yet affordable hosting option that offers an optimized and hassle-free WordPress management experience to site owners. Read more about the best WordPress Hosting in the UK! Virtual Private Server (VPS) hosting is an internet hosting service that is basically a combination of shared and dedicated server hosting. Better yet, you can get UK VPS hosting for a low price like UK shared hosting and get more power over the resources like what a dedicated server could offer. In VPS hosting, you have your own Operating System (OS). One of the most reliable types of web hosting is cloud hosting UK. It hosts an account on a virtual partition using the power of cloud computing technology. It means that the hosted account will be connected to multiple internet-connected servers which will predominantly offer more scalability, physical security, and faster response to changing demands. This type of hosting plan is more flexible than shared hosting. It leases a dedicated server connected to the internet exclusively for a single account. This plan offers more control and versatility to your business as all the resources are allocated to your direct. Now you can learn more advantages about the best dedicated server hosting UK here. Downtime has a huge impact on your business. You are more likely to lose a potential customer in every minute your site is down. And so we rummaged the net around to look for the best UK web hosting companies and our extensive research paid off really well on this golden list. We carefully picked them based on their customer scores, reviews, and reliability. SiteGround is one of the outstanding UK web hosting companies today with a staggering star rating of 4.98 out of 5 from over 500 real customers. They offer plans and packages carefully tailored to cater to varying web needs. SiteGround Hosting takes pride in their ability to guard their clients from hackers with their groundbreaking security solution, loading speed and 99.99% uptime score, exceptionally fast responding technical and customer support, and their custom-made plans. SiteGround was founded in 2004 and is now one of the leading web hosting companies in the world. Their datacenters are in Europe, USA, and Asia-Pacific. WordPress, Joomla, and Magento Hosting UK are also offered. For as low as £2.75 per month, you can already have a top-rated hosting service. Other striking features they offer include free website migration, fast account setup, drag-and-drop website builder, one-click staging tools, e-shops, and special server setup. Host1Plus is not offering anymore a UK Data Centre! Host1Plus built its first datacenter in London in 2008. Just a couple of years after their inception, they expanded to Amsterdam, Vilnius, Singapore, and Frankfurt and started to offer cloud hosting solutions. That’s how vast and fast they innovated. Now, they already have servers in 9 different locations including United States (L.A. & Chicago), Brazil and South Africa. They offer VPS, shared, dedicated server, and reseller hosting too. Host1Plus services personal sites, non-profit organizations, small-medium-large-sized businesses, and governmental organizations. The company believes in the reliability of cloud computing technology for businesses, thereby improving their cloud hosting solutons continuously. If you are looking for a host with optimum price yet professional services, Host1Plus is another excellent choice. Vidahost has been moved to Tsohost! Vidahost is a UK web hosting company that is fully compliant with ICOs Data Protection Act. To date, the company is gaining positive reviews and feedback exponentially. From a small hosting account to complex multi-server applications, Vidahost can deliver. All their servers are connected to their core network facilities at Redbus Meridian Gate datacenter in London Docklands. Vidahost is a highly recommended web hosting company in the UK along with its high star rating of 9.2 out of 10 stars. Almost all user reviews assert that they are extremely happy with the fast and genuine customer support of the company and their easy site migration. Their services include shared, reseller, cloud, dedicated server, cPanel, and charity hosting. Get 10% discount from any web hosting plan at Vidahost, using Promo Code: SHARK. Hosting.co.uk is a green web hosting company located in London. Services include shared hosting UK, cheap hosting, best cPanel hosting UK, free hosting migration, VPS, reseller, Linux VPS, and managed VPS hosting. They pride their lightning fast speed to all their visitors from across the globe especially those coming from UK and Europe with their Tier IV Midlands datacentre. Their other striking features include 1-click CMS installs, 99.9% uptime record, 24x7x365 technical and customer support, reliable infrastructure, fast page loading, full programming support, and 30-day money back guarantee. With a star rating of 4 out of 5, Namecheap is another excellent web hosting choice for beginners and pros. The platform is simple and straightforward. They offer shared, reseller, VPS, dedicated server, and private email hosting solutions. Namecheap caters to both individual and business websites. Well-known as a domain registrar to many, it offers WhoisGuard privacy protection for free while similar companies offer it for a certain fee. Site5 is not offering anymore a UK Data Centre! Site5 is another leading hosting service provider across the globe founded in 1999 and by that extension alone states a lot about their experience in the hosting industry. It prides its 24/7 fast customer support service, almost perfect uptime record, unlimited traffic and disk space, free daily backups and 45-day money back guarantee. Up to date, they are now hosting over 150,000 websites worldwide. Most users find Site5 as one of the WordPress hosting companies that can offer location specific web hosting. Striking features include custom plans, multi-admin solutions, shared SSL, wide choice of Server Location, and no pro-rated refunds. When you visit 1and1.com, all their cards have been laid perfectly simple yet well-detailed. 1and1 is a freshly built company and they currently have great new customer offers such as a domain for as low as 0.99$ in the first year. They have mobile-optimized designs that suits every business type or personal need, bespoke solutions, SEO and online marketing, and a lot more tools to bring your business a strong online presence. If you are after a feature-rich yet affordable SSD web hosting deal, go for 1and1.com. They have every hosting type to cater to various web needs and a 30-day money back guarantee. What Should You Be Looking For When Choosing Your Web Hosting Provider? Even if the sole purpose of your website is to blog about your favorite food, hobby, or whatnot, you’d still desire to reach a number of readers and a solid web performance is your ticket. What more if you are a business competing for a wider target market? Whatever your website goals are, you need a reliable web hosting company to get you there. And again, a poor website performance is the ball and chain to your revenue. Free or not, site statistics is the best way to monitor your site performance. It will help you understand further the changing demands, what you need to improve or put into a halt in your webiste practices, your strengths that you need to carry on, and the things that you lack. However, the best web hosting provider would commonly offer that feature service without a fee or an extra cost. The site statistical tools will be offering your information on your SQL databases, how much disk space are in use or available, and the number of sub domains you have. It basically serves as your performance tracker and chart. Make sure your web host offers that benefit. More often than not, major web hosting companies offer free credits on Google Adwords, Bing, or Yahoo to their clients as part of the registration. The perk of this add-on incentive is to allow their customers to commence the wording out of their new websites without the need to pay for a separate budget for advertising. It is one of the best rewards that a good hosting company provides. Furthermore, other companies also give out marketing tools for free to help in site promotion. 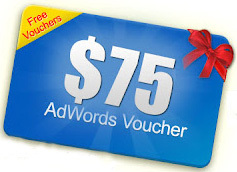 The value that you will get out of these incentives is vividly exceptional to boosting your online visibility. Keeping all software updated is highly necessary, but often deemed as a hard step for most. Always check if they are constantly updating to the latest version. That would speak a lot of their high regard for quality service and results. We are not new to complaints about sluggish customer support, but it’s always impressive to see a hosting staff interacting with real customers in real time via their social media networks and forum sites. As we all know, most companies would rather take queries through phone calls, live chat, or email as part of their customer support. Few are those who take time to explain nitty-gritty answers to customer complaints and feedbacks on forums. Watch out for that kind of brave interaction along with your evaluation if the company has a quick responding customer support. That is the deal maker or breaker. You may give your full trust and conviction that your web hosting provider will protect you against hackers and that all your data are safe and sound. The digital world revolves in just a few clicks and hacking a system is now also as easy as 1-2-3 for skilled hackers. Your hosting company may not be able to promise you full protection against data loss but if they have a site backup feature, then that’s a safer promise for you and your website data. Imagine the time you need to consume just to bring all the details back to your site. What a hassle. We all read reviews every time we try to purchase or sign up to something. And it’s always a significant prerequisite when looking for a host. Check their reputation through certifications and achievements, real customer feedback, and star ratings from reliable sources. Major companies now slash their energy consumption to reduce their environmental impact to Mother Nature. That’s an impressive step. You can check that information on the hosting company’s website. If they can take care of our environment, then it’s easy for them to take care of your website too. Choose your web hosting company wisely! Affiliate Disclosure: Topukhosting.net may get a commission from retail offers.